Jon Keil was raised on a working cattle ranch in Sybille Canyon, between Wheatland and Laramie, Wyoming. In 2004, he earned a BA from the University of Wyoming. 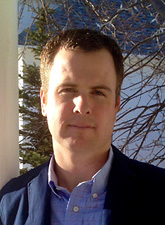 In 2007, he earned his Juris Doctor with honor from the University of Wyoming College of Law. After passing the bar in Wyoming and Colorado he followed his passion for the outdoors by becoming a full time fly fishing guide in Casper, Wyoming. When he wasn’t guiding fly fisherman, Jon was outfitting big game hunts on his family’s ranch or working as part-time corporate counsel for Wyoming Financial Properties in Casper. In 2011, Jon decided to pursue a career in the ranch real estate business and moved to Buffalo, Wyoming where he worked for a small ranch brokerage company from 2011 to 2014. For the next year, he worked for himself selling real estate, practicing law, and outfitting big game hunts. During that time period, Jon was able to work with Cory Clark on several occasions. Through this relationship, Jon realized that Clark & Associates Land Brokers, LLC was different from many other ranch brokerage firms in that they would go above and beyond to truly represent the best interest of their clients. He is very excited to be part of the hard-working and trustworthy Clark & Associates team and looks forward to putting his knowledge of recreational, commercial, and farm& ranch real estate to work for their clients. Jon still resides in Buffalo, Wyoming with his beautiful wife, Molly, and his four wonderful kids, Ace, Allie, Aspen and Axl. His motto is “honesty and integrity always come first.” Jon is licensed in Wyoming and Colorado.